To all my friends and watchers, thank you all for your support and friendship throughout this past year. May your 2012 be filled with good health, happiness, peace and bucketloads of artistic inspiration. 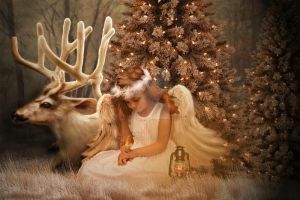 No matter how you celebrate this time of year, my Christmas wish for you is that your dreams and wishes are rewarded now and all through the new year. Merry Christmas and Happy New Year everybody!! EDIT: WoW.....A DD !! A great big Thank You to for selecting this piece for a DD. I am truly humbled by this wonderful surprise right on Christmas Day. The works both written and visual contained in my gallery are copyrighted and protected by Safe Creative. My works may not be reproduced, copied, edited, published, transmitted or uploaded in any way without my permission. My works do not belong to the public domain. Merry Christmas for you and you husband my sweet friend !! You're welcome and thanks for your Christmas wishes. Im always wishing for cold weather down here at Christmas time but ....that's a dream that wont come true so I can't help myself making Christmas scenes like these. Totally stunning work. Incredible detail. I am new to DA and was looking around and stumbled upon this.....beautiful and so magical. yay! congrats for the DD!!! Congrats with your well deserved DD Karla! oh my... it's so wonderful, I wish I had seen it during Christmas... And congrats on the DD, well deserved The only one thing I can't understand is why it has only 620 favourites it's really magical! Really nice card! Congratulations on the DD! Fantastic creation Karla! oh and congratulation with DD! Its awesome!! I'm very behind watching your work! This is fantastic!Congratulations,my dear Karla!! Smiles...thank you Dan. 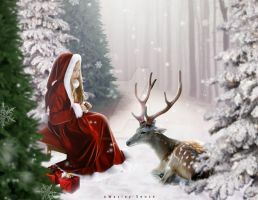 Hope you had a lovely Christmas and I will take this opportunity to wish you a great 2012. Gorgeous piece! Happiest of holidays to you and congratulations on the DD!